System Diagram Product List (A) Audio Feedback Suppressor TS-234 (B) Mic Processor TS-211 (C) 24 Channel Mixer with 4 Group TS-24P-4 (D) Audio Matrix Processor TS-P880 (E) UHF Wireless Mic T-521UH (F) 8 Channel Power Sequencer TS-820 (G) Professional Stereo Amplifier T S-700PI (H) High-end Entertainment Loudspeaker TS-812 (I) High-end Loudspeaker TS-612F (J) Active Line Array Loudspeaker LA-2800P LA-1800P Description * ITC Audio Matrix Processor use standard TCP/IP network control protocols, which can input and output 8 channel balanced mic/line audio signal at same time to realize remote network audio transmission and audio sharing at large sound system place, especially large concert stage. 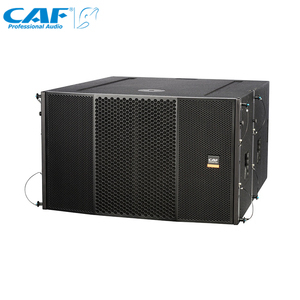 * Active line array speaker(LA-2800P & LA-1800P) as the main speaker, TS-812, TS-612F loudspeaker as assistant speaker, they will broadcast music together to make sure sounds can be covered to whole concert venue in excellent quality. * Built in Audio Mixer (TS-TS-24P-4 ), Audio Feedback Suppressor(TS-234) and Mic Processor(TS-211) to make sure the music in excellent quality, let audience to enjoy the ultimate sound experience! 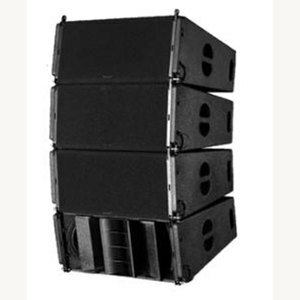 Outdoor concert speakers QSC-Q5 line array sound system, 12 inch speakers prices QSC-Q5 is a dual 12-inch three-way high-power speaker, with Q5s mid-bass. 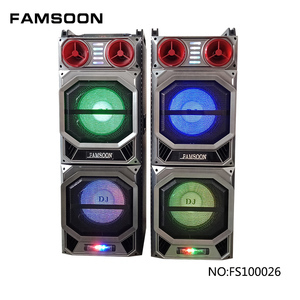 Such a speaker's anti-aging strength is very strong, long-term exposure to the sun and rain, while installed indoors is good to prevent moisture. The linear speaker is designed for theaters, stadiums, outdoor performances and other places well-designed linear array of speakers. 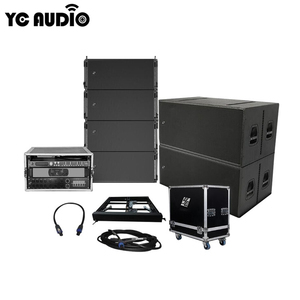 Guangzhou YC Audio Technology Co., Ltd.
Guangzhou Tengge Audio Equipment Co., Ltd.
YG 75 provides extraordinary performance with penetration and smoothness. YOGA Series Various Combinations & Choices It is suitable to different preferences and scale of applications. The FOH engineers' imagination at application can be achieved by easy combinaiton in different ways. Guangzhou Heyun Electronics Co., Ltd. The DS-15A offers an exceptional dynamic reproduction and impressive power, complex passive filtering ensuring very high fidelity and reliability. The DS-15A designed for use as stand-alone full-range or working with the sub woofer (e.g. We are located in Guangzhou City of Guangdong Province, which is very near to the New Guangzhou Baiyun Airport. Two recessed handle cups are mounted on both sides of the enclosure for easy lifting and carrying. It is the danger when you rigging the line array speaker in the air. Assess the corrosion resistance of the raw material and its protective layer. For the batch order, we will produce on the premise of guarantee quality as soon as possible. What's mode of transportation9 For the sample order, we will deliver by Express, like DHL, Fedex, TNT and EMS. Based in the interenational andmanufactures innovative,High quality Amplifier, Speaker, Stage Light products for the professional Club Play and stage show Entertainment&leisure. 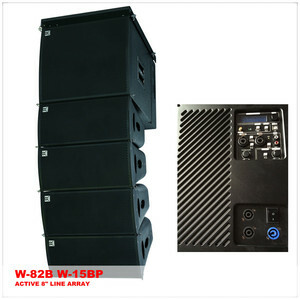 Alibaba.com offers 2,884 concert sound systems products. About 57% of these are professional audio, video & lighting, 17% are truss display, and 1% are acoustic panels. A wide variety of concert sound systems options are available to you, such as free samples, paid samples. There are 2,924 concert sound systems suppliers, mainly located in Asia. The top supplying countries are China (Mainland), Singapore, and Lebanon, which supply 97%, 1%, and 1% of concert sound systems respectively. Concert sound systems products are most popular in Domestic Market, Southeast Asia, and North America. You can ensure product safety by selecting from certified suppliers, including 325 with Other, 227 with ISO9001, and 74 with ISO14001 certification.